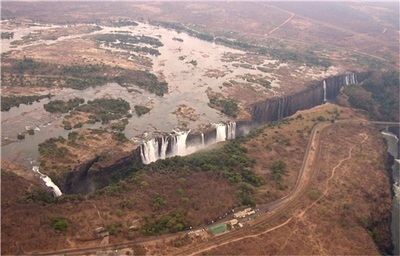 Best time to visit Victoria Falls? 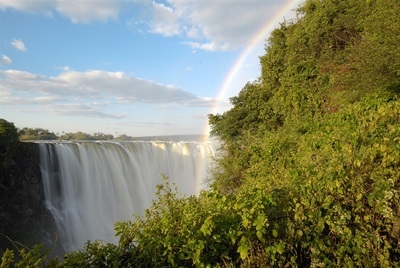 For many travellers, a Safari to Botswana, Zambia or even South Africa, is not complete without seeing the fabulous and famous waterfall of Victoria Falls on the mighty Zambezi River. 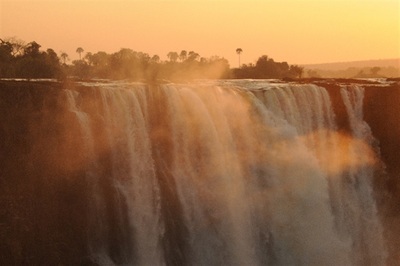 Although Mosi-oa-Tunya - the local name - is certainly a far more descriptive name: the smoke that thunders. During March and April when the volume of water going over Victoria Falls is at its greatest, you are hard pressed to hold a conversation above the sound of the water, and even if there isn’t a cloud in the sky, be prepared to get a soaking… rain coats and umbrellas are on hand, and don’t be embarrassed about using them! It is also good idea to take protective covering for your camera. 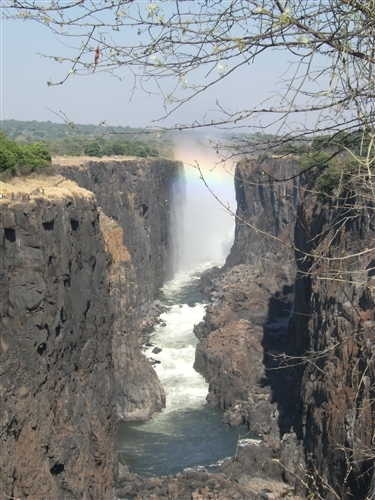 As you stand directly across the the Falls, the site is mesmerising, if not a little frightening. 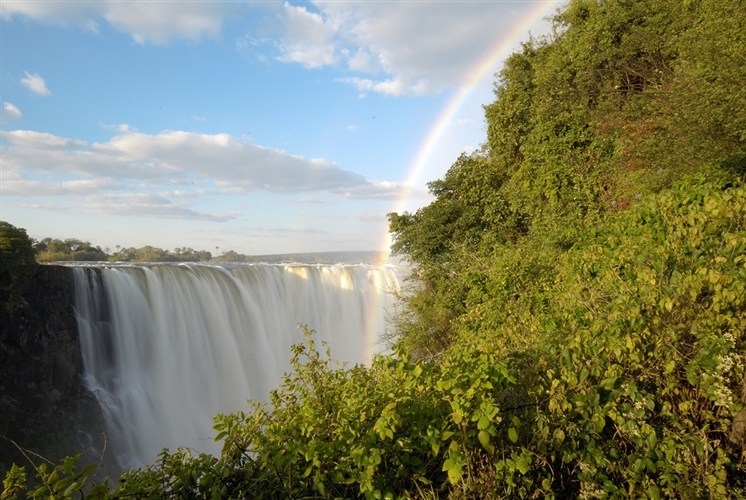 On the Zimbabwean side of the falls, you get to experience more of the fall in terms of their width (which is some 1 700 metres or 5 500 foot). This is due to the fact that the river plummets into the first section of a lengthy, and zig-zagged gorge, with the water being forced into the next section of the gorge through a narrow gap. Viewing the Falls means that you are on the edge of the opposite side of the gorge, thus facing the river head-on. On the Zambian side of the Zambezi, you get to see less of the 'head-on' experience, but you do get a much better of the start of the gorge, and the area where the Zambezi is forced into the next section. 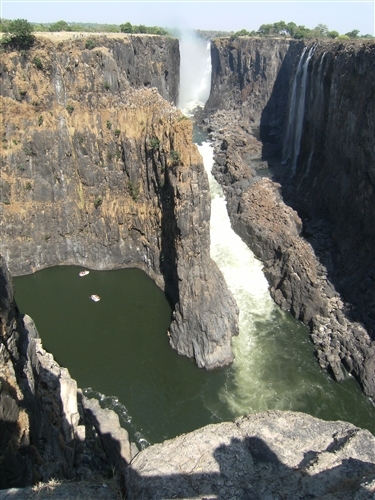 Access to the top of the Falls is also easier, allowing (during low water) unique access to natural rock pools and Livingstone Island, in particular. Of course the level of the Zambezi River changes with the seasons… and during November and December, the waters are at their lowest, thus turning the spectacle into a trickle, and making for some interesting geology. Even ‘off season’ the Falls are fascinating, you get to see the true extent, and on the Zambian side in particular, you can actually walk, and even swim, not to mention picnic, at the top of the Falls. 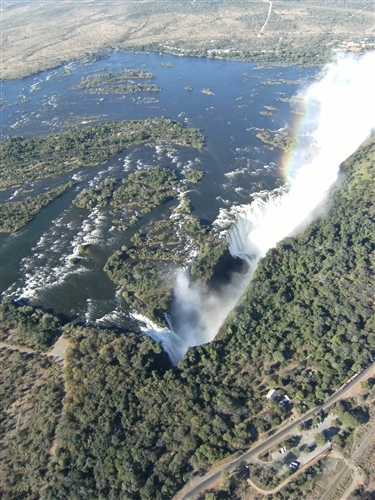 A true description of Victoria Falls wouldn’t be complete without just a few numbers: at peak flow, an estimated 546 million cubic metres of water per minute cascade down the 100 metre high falls, with the waters spreading over the 1.7 kilometre long edge.